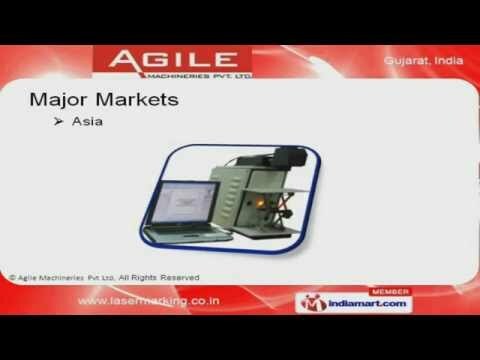 Welcome to Agile Machineries Private Limited, Manufacturer and Exporter of Laser Marking Systems and Automation. The company was incorporated in the year 2009 at Ahmedabad. Our Cutting edge infrastructure units help to Serve to Automobile, Jewellery, Electrical etc. More than 12 years of Experience, Efficient production capacity and Satisfied Customer Base help us to attain an enviable position in the industry. Asia is among one of our major markets. We offer a wide array of Fiber, Diode and Lamp Laser Marking Machines. Our Fiber Laser Marking Machines are well known for their outstanding performance. Fiber Laser Marking System ATF 40 and 10 offered by us are a class apart. We also provide Diode Laser Marking Machines that are best in the industry. Along with that we offer Lamp Laser Marking Machines that are highly efficient.